A lot of excitement over here in the "Southern Girl's Kitchen"
I recently received my first blog award. The lovely Ashley over at "Everyday Pixie Dust" has honored me with a Liebster Blog award. Then wait... I almost lost my britches when I received another comment from the my fabulous new blog friend Chelsea over at Chelsea's Culinary Indulgence that she nominated me for this too.. So there are some rules to this blog award. 1. Thank your Liebster Blog Award Presenter on your blog by mentioning them and linking back to their blog. 3. 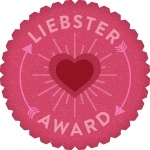 Present the Liebster Blog Award to 5 blogs of 200 followers or less who you feel deserve to be noticed. 4. Let them know they have been chosen by leaving a comment on their blog. 5. Share 5 random facts about yourself. 1. Once I went to Hawaii and got stung by a jellyfish.. this is #1 because it changed my life and my level of paranoia forever. 2.I speak both Spanish and Portuguese, so when I retire I plan to take my biscuit making behind to somewhere like Argentina and open a "Chicas Cocina del Sur"
3. I've been quite a few places in my life, but Barcelona by far was the best.. the food, the ocean, the air.. just everything. 4. I'm obsessed with Tory Burch and I think I've given her way too much of my money... same applies for everything on Esty. 5. I have 2 beautiful kiddos that are 10 years... (YES... 10 YEARS) apart in age.. y'all pray for me. 3. Feed Your Soul Because what could be better then a man that can cook... honestly..
Go on over and check out these bloggers... Join their sites..leave them a comment..